Home › Electronics › Morecoo 50W/10A 5-Port Universal Usb Desktop Charger With Smartid Technologym..
Morecoo 50W/10A 5-Port Universal Usb Desktop Charger With Smartid Technologym..
Ultra Powerful: Power IQ technology and Voltage Boost in combination enable the fastest possible charge of up to 10A or 2.4A per port,5 USB charging ports with a power output of 50 W, making multiple devices charging simultaneously into reality. Stable Compatiblity-- Perfect works with All Android and IOS devices, including bluetooth speaker, or other devices charged with USB. 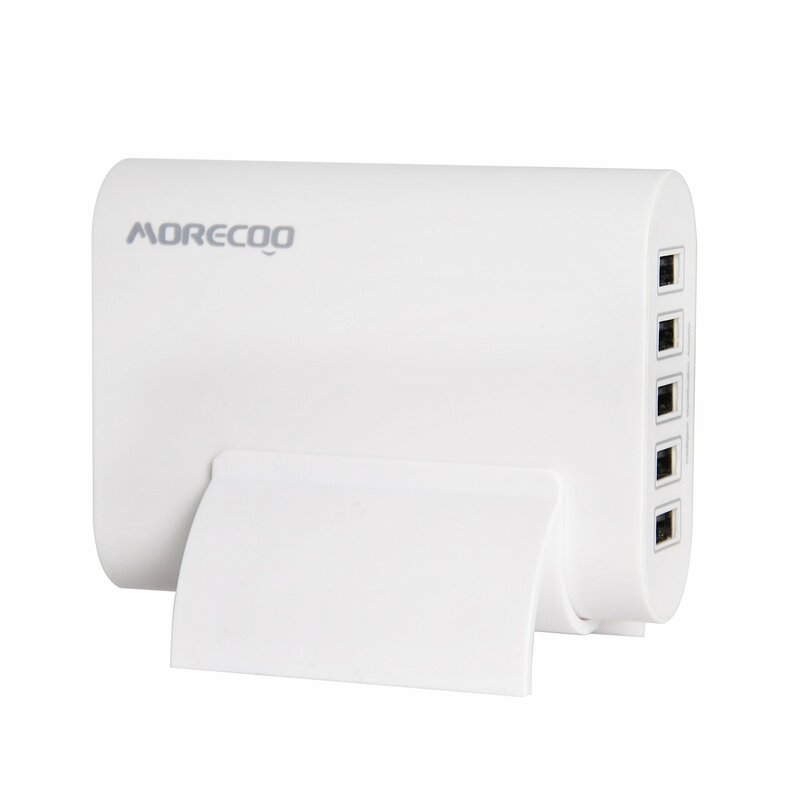 What you get: Morecoo Intelligent 60W 6-Port USB Desktop Rapid Charger, Owner's Manual, 12 month warranty and friendly customer service.